Working along side our Scunthorpe Chiropractors we have our team of therapists. Each offers many different massage techniques and these are often beneficial at the same time as chiropractic care. If your Chiropractor thinks that massage will aid your recovery, they will recommend this to you and ensure that your therapist is aware of exactly what you need. However, if you’re not already a patient of ours you can still come to the clinic for massage and our therapists will determine which type is best suited to you and your needs. 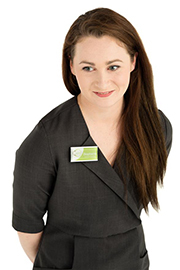 A few short months later Stephanie was well on her way to completing her first qualification. “It was during my training that I realised I enjoyed the massage elements of the course more than anything else so I decided to focus on that aspect.” Her mind was made up and she chose to obtain her level 3 qualification hands on, and selected all the massage units to complete her studies. 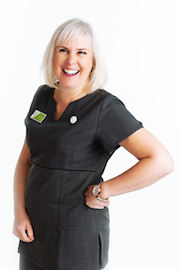 “I’d always found the clinic to be warm and welcoming with a vibrant environment, and thought it must be a great place to work!” Alison was one of our Elite Members and had been coming to the clinic as a patient for about 10 years when she first joined the team. A number of years ago, Alison was looking to change her career and it became obvious that helping others like she’d been helped was her goal. Inspired by her experience at the clinic, she decided to leave her banking career behind and re-train as a Sports Massage Therapist at Grimsby Institute.